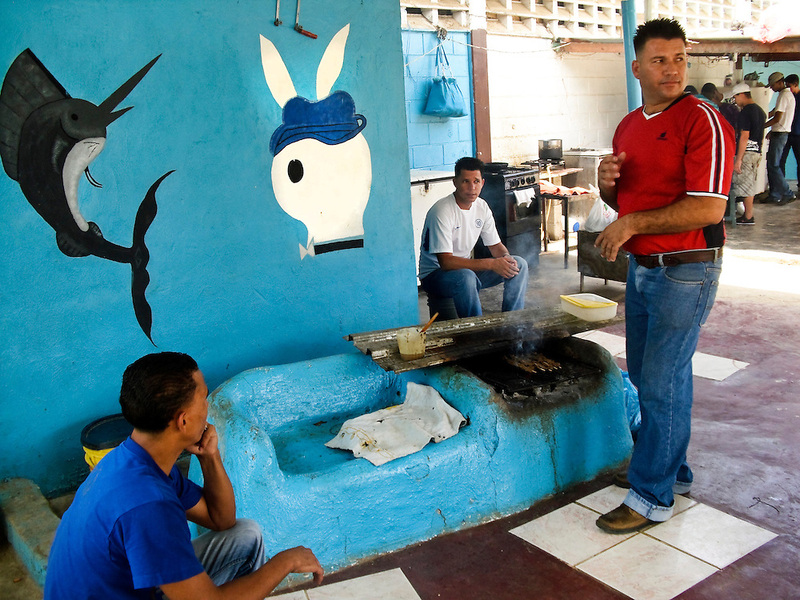 Prisoners barbeque meat poolside inside San Antonio prison in Porlamar, Venezuela. The prison on Margarita Island houses 2,000 inmates, and is known amongst criminals as the prime place to serve time. It is unofficially run by convicted drug trafficker, Teófilo Rodríguez, who said in an interview that his goal was to create an atmosphere inside the prison as a, "peaceful party". During his reign at the prison, Rodríguez has constructed four swimming pools, a cockfighting arena, hosts hip hop concerts and dances at the prison discothèque, and has built over 200 private rooms where prisoners may enjoy conjugal visits three times a week.